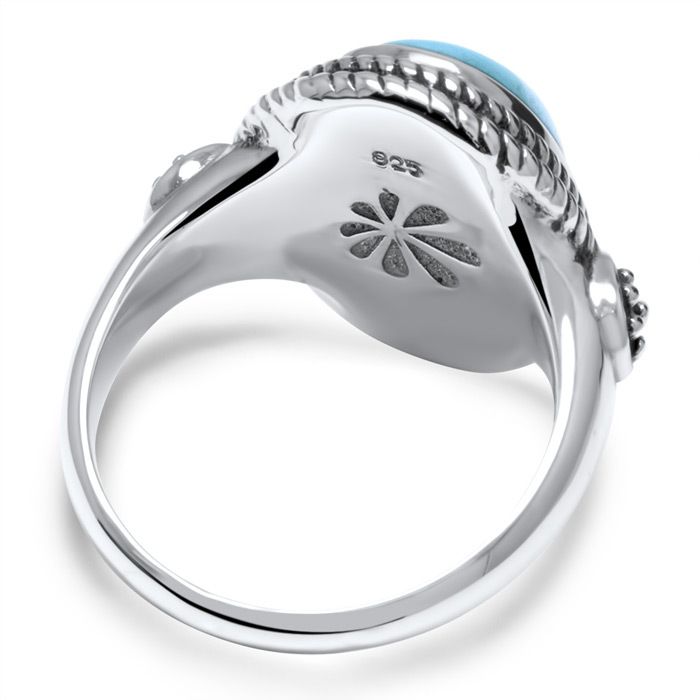 A gorgeous larimar gemstone is elevated by two twisted bands of sterling silver, and attended to by detailed oxidized silver accents on either side, in our Twister ring. Strong, bold, and infinitely beautiful! 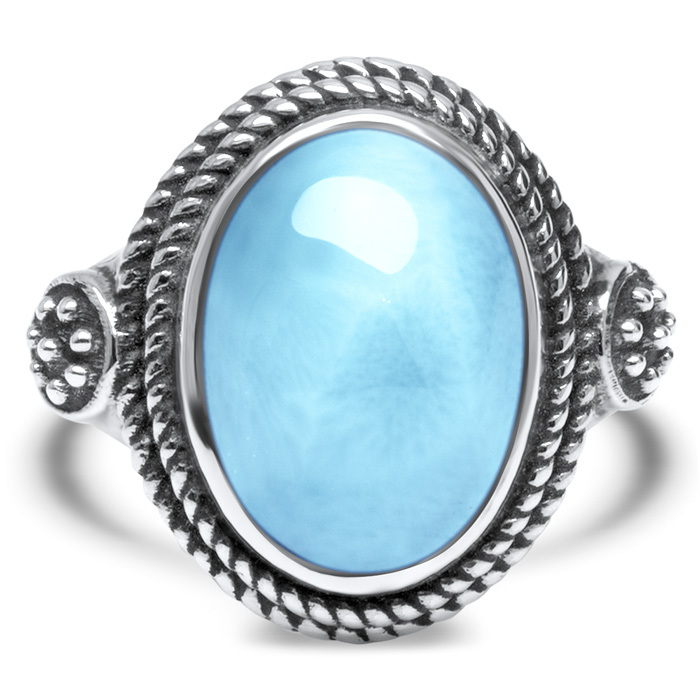 Product Details: 10x13mm larimar gemstone and sterling silver.